Q.1 – I am from OBC category, but there is no option to upload the certificate. What should I do ? OBC Certificate need not to upload any certificate. Uploading category certificate is required who are from SC/ST category. So that they will get concession in GATE 2019 application fee. Q.2 – I am currently in final year. What document should I Upload for eligibility criteria ? Candidates who are currently in final year need to upload certificate from principle. Q.3 – I am currently in final year. I have active backlog from 3rd year. 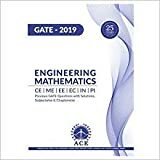 Am I eligible for GATE 2019 examination ? Yes. 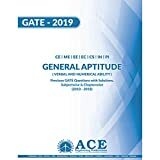 Candidates who are currently in final year and expecting their course completion by 2019 are eligible for GATE 2019 examination. Q.4 – I have completed my engineering in 2018 but still I have 1 backlog to clear. What document should I Upload for eligibility criteria ? Q.5 – I have graduated in 2018 but I don’t have my degree certificate or provisional certificate. What document should I Upload for eligibility criteria ? Candidate who have passed qualifying examination in 2018 or earlier, have to submit any of these certificate Provisional certificate / Degree certificate / Course completion certificate. (1) First try to contact to your college/university administration regarding providing Provisional certificate. (2) You can get your Course completion certificate from your college / university. That also can be used in place of Provisional certificate. # Course completion certificate must be in proper manner which explain basic details about you, your college, your course completion and with date, signature of principle and seal of the college. i have completed my btech in 2018 but i have a backlog in 7th sem so i dont have the provisional certificate nor the final year maksheet given by college. which document should i upload for gate 2019? Please upload your final year mark sheets (7th Semester OR 8th Semester) / Certificate from HoD / Principal (Appendix A) / Bonafide certificate from your college ( HOD / Principal signature and seal is a must). I have completed my msc degree. University declared our results in combine PDF format marksheet to all students. so which documents upload in eligibility certificate. Please upload Course completion certificate/Final year mark sheet(s). As I do not have oringial scan copy of my ST certificate, shall I upload the scanned copy of xerox caste certificate in GATE 2019. Yes, You can but scanned copy of your xerox ST caste certificate must be clear. Hello sir . Can I upload my sc caste certificate in gujarat state and in gujarati language …?? You have to submit SC Certificate in English Language and also Central Government SC Certificate. They may reject your SC Certificate in Gujarati. For more details please contact GATE 2019 office directly. I am from sc category and I have a issue related with gate filling online form. I have my old caste certificate. can I apply for gate online form with my old certificate as I don’t have new certificate. You can apply using your old SC Certificate but it must be a Central Government SC Certificate. Thanks for the information. I have completed my engineering in 2011. Now I want to apply for GATE 2018 but, the options available for selecting the year of qualification contain only 2018, 2019 and 2020. I have my degree certificate. What should I do? Please recheck other options you have filled. You might have done some wrong selection. I have completed my engg in 2016. I have uploaded my marks memo (cmm) which consists of all 4 years details. Is there any issue in uploading that .please help me with this. What does degree certificate means? No, You will not face any issue. It will be considered as course completion certificate. my caste certificate is in regional language(kannada) is that valid for uploading? You may face issue during scrutiny process. GATE is an all India exam so you need to upload a central caste certificate. is state government’s bc certificate is equal to obc certificate. can i use my bc certificate to change my category to obc. State BC certificate may or may not equal to central OBC certificate. For verification you must visit certificate issuing authority of your district. They can better explain you about this. I have uploaded 5th sem marksheet intead of 6th sem in the provisional certificate.What should I do?Do i need to reapply for the form?Please help me as soon as possible. You have uploaded Provisional certificate then you will not face any issue. I had uploaded internet downloaded final year marksheet in gate 2017 form . Is it correct? If not , how will it be corrected before last date. Sir,I have digital provisional certificate which is issued by the university in 2016.Can I upload that or I have to get the original provisional certificate n scan n upload it..
You need to upload a proper provisional certificate while filling GATE 2017 online application form. Try to get original provisional certificate from the college / university, You still have one month period for filling GATE form. Any mistake while filling GATE 2017 online application form will be hard enough to clear later. helpdesk@gate.iisc.ernet.in please see because today is a last day i also send my gate id & password. Get a course completion certificate from your college atleast. GATE 2016 office didn’t mentioned anywhere that candidate can upload marksheet. Final decision is yours.